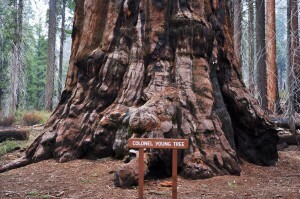 Sequoia and General Grant National Parks were created in 1890. They were assigned to the Interior Department to manage, but no funds were appropriated to run them. This led to a host of problems that allowed serious damage to the now-protected land — Poachers entered the park and killed protected wildlife, lumber was illegally cut, fires burned out of control, and livestock devastated the forests and meadows by either stripping foliage with grazing or by trampling the plants flat, compacting the soil, and eroding stream sides. It seemed as if the park might be doomed in infancy — until the U.S. Army Cavalry entered the fray in the summer of 1891 and made the laws protecting the park a physical reality. They protected the park with their presence, their vigilance and sometimes with force. Since they had little power beyond giving warnings or expelling those who violated the rules, the soldiers got creative in their enforcement techniques. They would expel sheepherders out of one end of the park and then herd the sheep out of another. They confiscated tourists’ rifles on the way in, then returned them on their way back out. And their presence made a difference. In 1898, when the cavalry had to travel to fight in the Spanish American War, an estimated 200,000 domesticated sheep were brought into the park to graze illegally and did an untold amount of damage in the cavalry’s absence. Additionally, wildlife populations recovered when visitors were disarmed. The role of the soldiers didn’t end at protection, however. They also had a huge hand in guiding the early development of the park system. The national parks were set aside both to protect the “natural condition” of the resources, and to provide a “pleasuring ground for human beings”. The paradoxical tasks are still a huge challenge to the national park system, but they were particularly difficult early on, as no infrastructure was built so that people could access the parks. The residents of Tulare County, in the valley below Sequoia National Park, lobbied Congress for funds to develop the parks until 1900 when Congress finally agreed to appropriate $10,000 to the parks per year. The soldiers began the reconstruction and extension of an old wagon road into the Giant Forest. The work was slow from 1900-1902, until 1903 when they brought in Captain Charles Young and his soldiers of the I and M troops of the 9th Cavalry. 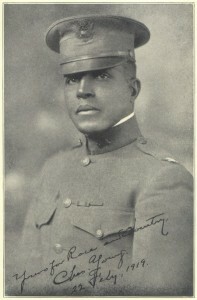 Young commanded one of only four regiments in the U.S. Army in which African Americans were allowed to serve, which meant that many of the initial defenders of the park were among the first African Americans in the United States Army. That summer, Young’s troops finished the road to the Giant Forest and built a trail system almost all the way to the top of Mt. Whitney, the highest mountain in the nation at the time, and still the highest mountain in the contiguous United States. These huge achievements make Young’s impact on the parks and on military history indelible — these accomplishments are especially stunning given Young’s incredibly difficult struggle against prejudice and racism as he worked toward his stewardship of the parks. Charles Young was born in Kentucky to enslaved parents, Gabriel and Arminta Young, on March 12th, 1864. His father escaped slavery the year he was born, and joined the 5th Regiment, U.S. Colored Heavy Artillery of the Union Army, until the Civil War ended. The three moved across the Ohio River to Ripley, Ohio, the center of abolitionism, where Charles Young attended and later taught school. Young was a musician and polyglot who learned Latin, Greek, German, French, and Spanish in addition to his native English. In 1882, Young applied to the United States Military Academy, West Point. Though he scored the second highest on the entrance exam, he was placed on the alternate list rather than being admitted that year. He was accepted in June 1884, the following year, when the candidate ahead of him dropped out. Eventually, he was the only black student at West Point, as all of the other black students were discharged. He had to repeat his first year when he was found deficient in mathematics, and was held back again his senior for failing an engineering course. When he graduated on August 31, 1889, he was one of only three black men to, at that point, have ever graduated from West Point. It would be almost fifty years before it happened again. After serving on the plains in the Indian wars, as a professor in Ohio, and in the Philippines, Young led his troopers from the Presidio of San Francisco to Visalia in April 1903. 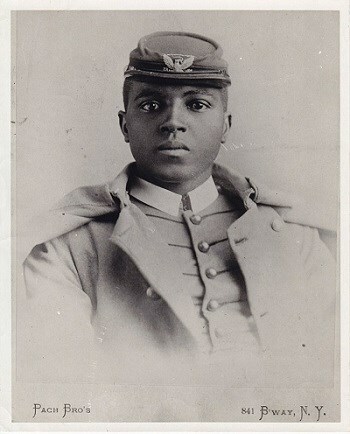 Young was the only black captain of the U.S. Army, and all but three of his troops were “buffalo soldiers”, black as well. The crew began working to finish the road to the Giant Forest earlier in the season than past years had, and worked faster than previous crews. They completed the road in just one and a half months, having constructed more than the past crews did in the three previous years. Young threw a party to thank his men for their hard work. Around 100 people attended, including a visiting party from Visalia. 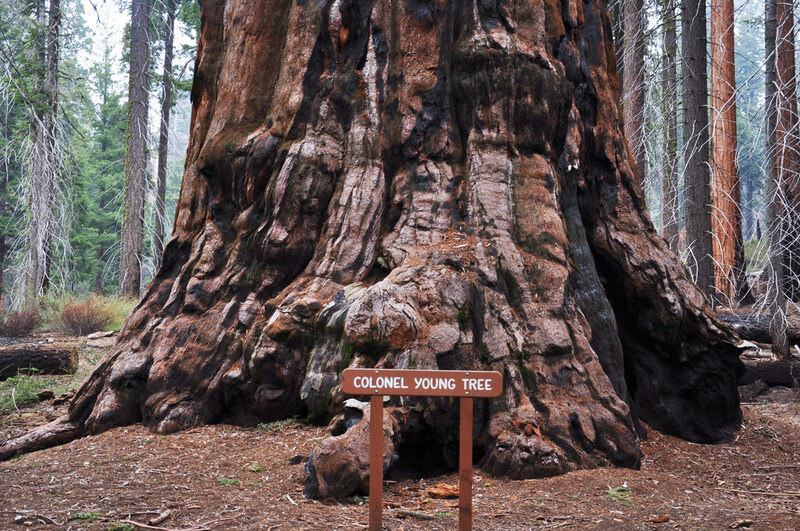 Representatives from Visalia proposed naming one of the giant sequoia trees after Charles Young as thanks, but Young refused, saying that they could name a tree after him in twenty years if they still felt so inclined. Instead, he nominated, “that great and good American, Booker T. Washington,” for the tree’s namesake. A Charles Young tree wouldn’t be named until 2004. For more information, please see In the Summer of 1905 Colonel Charles Young and the Buffalo Soldiers in Sequoia National Park by Ward Eldredge. Duncan, D. (2017). The National Parks: America’s Best Idea An Illustrated History. New York, NY: Alfred A. Knopf. Eldredge, W. (2003). In the Summer of 1905 Colonel Charles Young and the Buffalo Soldiers in Sequoia National Park. Three Rivers, CA: Sequoia Natural History Association. This entry was posted in Southern California Mountains and tagged 9th cavalry, African American, America's Best Idea, black history, buffalo soldier, buffalo soldiers, Charles Young, Colonel Charles Young, Dayton Duncan, General Grant, General Grant National Park, Giant Forest, kaweah, ken burns, Kings Canyon, Kings Canyon National Park, Liberia, mount whitney, Mt. Whitney, national park, national parks, NPS, Pancho Villa, polyglot, redwood, redwoods, Sequoia, sequoia national park, slave, slavery, west point, whitney. Bookmark the permalink.